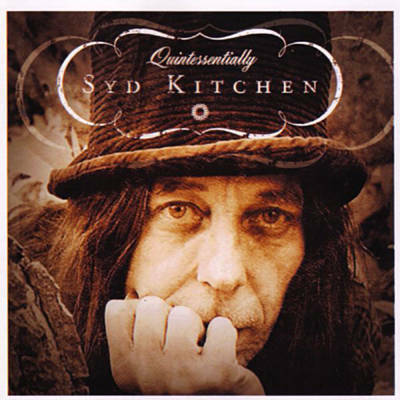 The 1999 EP ‘Amakoologik’, hinted to the direction Syd Kitchen’s music was taking. We had had the folky ‘Waiting for the Heave’ and the jazzy ‘City Child’, but Syd was beginning to embrace his African heritage. He had started referring to himself as Afro-Saxon and this was showing. However, it was on the sublime ‘Africa’s Not For Sissies’ that he really developed this side of his music to perfection. The title track was one of the stand out songs on the album. Addressing the problems of violence in the country and how this was chasing white South Africans away from the country, the Zulu sounding guitar and penny whistle interludes may well have been designed to encourage homesick people into returning, despite the lyrics reminding one of the reasons you left in the first place. However, the refrain, ‘Africa is Not For Sissies’ is a little bit of a taunt to those who left, saying, ‘Are you not man enough to remain in this country’ and this would not sit easily with the macho South African male enjoying a barbie in his new Perth home. Whatever Syd wanted to achieve with the song from a political view, he set about getting it across in a fine Afro Folk tune that is gently, rootsy and polished. Fans may well argue amongst themselves as to whether ‘Africa Is Not For Sissies’ or ‘Waiting For The Heave’ was his best album and whether the title track of the former was his best song, but whichever one you like best, few will deny that this track was one of the highlights of a low-key career.